Dr Om Murti Anil is a senior cardiologist of Nepal working at Grande International Hospital and Heart Clinic at Maharajgunj Kathmandu. He has done his super specialization degree ( DM Cardiology) from AIIMS, New Delhi. He is best known in country for his work in the field of cardiac intervention. He has contributed significantly for prevention of heart disease in Nepal by increasing public awareness regarding cardiovascular diseases and its risk factors through various activities. After completion of his cardiology training, he joined Manmohan Cardiothoracic Vascular and Transplant Centre (MCVTC) as an assistant professor in dept. of cardiology and worked for three and half years. He worked as cath lab chief in this center and started all invasive cardiac procedures for the first time. Since the establishment of cath lab in this centre, he performed wide range of cardiac procedures with high success rate and safety record. He was the only DM cardiologist teacher to guide the DM cardiology residents at MCVTC. He was coordinator of DM cardiology residency programme and was actively involved in all kinds of teaching learning activities for newly started DM programme in IOM. He worked hard to improve academic activities of this new training programme in country and also taught his DM residents basics of cath lab techniques. Dr Om received Nepal bidhyabhushan padak from Rt Hon`ble President Dr Ram Baran for achieving his DM Cardiology degree. He is the first doctor among DM cardiology degree holder, who has received this award. Dr OM received gold medal for obtaining highest marks in MD medicine (Institute of Medicine, Tribhuvan University). Preventive Cardiology: Hypertension, Diabetes, High Cholesterol, Heart Failure, Arrythmia etc. 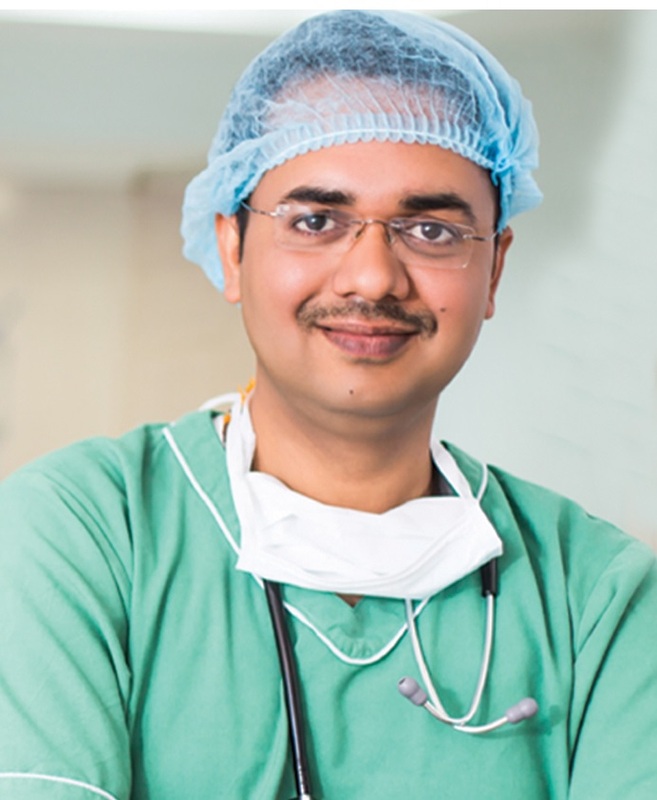 Dr Om Murti has performed various kind of diagnostic and therapeutic cardiac procedures in AIIMS, Manmohan cardiothoracic vascular and transplant Centre (MCVTC), Maharajgunj and now at Grande International Hospital. He is also highly skilled and experienced in managing acute MI by emergency angioplasty( heart attack cases) and has rescued large number of very sick and dying patients during his carrier. 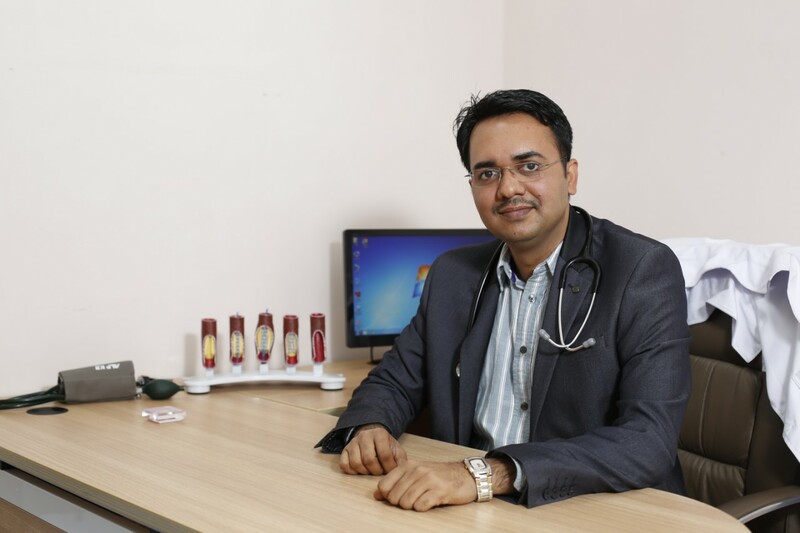 He believes in evidence based medicine and practice as per the international guidelines & recommendations. He always takes into consideration of local circumstances like economy, education and other difficulties and individualizes his practice of medicine as per need of a patient. He believes that treating hypertension, Diabetes, High Cholesterol and other conditions may be an easier job; but preventing development of serious heart problem in these patients in future may not be an easy task. Complete evaluation of risk factors, appropriate but minimum use of medications, more stress on lifestyle modifications are key factors in preventing heart problem in an individual. Overall, educating patients and involving them in their treatment is main foundation of Dr. Om practice in field of non-invasive cardiology. He also stress more on lifestyle modifications rather than straight forward starting treatment for hypertension and other condition. Heart clinic is located at Maharajgunj just north to US embassy. It is easily accessible for everyone. Public transport is available just outside the heartclinic compound. Ring Road (Maharjgunj Chakrapath ) is just within 50 meter from this clinic. Dr Om is working as director of division of interventional cardiology in GIH. He is chief of interventional cardiology, Cath Lab & CCU. He examines patient in OPD on working days from 9 AM to 2 PM. He performs all kinds of cardiac intervention only in this hospital. Cardiac intervention is performed almost every day depending on number of patients and their convenience. You can fix appointment with Dr Om to show at GIH by calling to call Centre. (Phone 01-4390783). Prior appointment is required. If you are under his follow up or want his treatment for emergency cardiac care or inpatient care, You need to contact call centre of Grande Hospital or directly visit Emergency of Hospital. Dr. Om has written a book named “Ma Pani Doctor” (English meaning : I am also a doctor). After reading this book, a layman can imagine that he is also a doctor. That’s the reason for the name. Book covers different medical aspects in such a way that anyone reading this book will definitely find many new things about his own health. This book is intended to change your thinking about health and illness to prevent various cardiac and non cardiac diseases. Book has got 30 chapters and 336 colorful pages. This limited first edition has got hard cover with perfect binding written in very simple Nepali language. Book is full of self explanatory colorful pictures and tables. This book cover 3 aspects of medicine. First , it gives essential knowledge about life threatening disease like heart attack , which make common people to recognize them early and attend appropriate medical service in time to prevent untimely mortalities. Second, This book focus on various cardiovascular risk factors( like Hypertension, Diabetes, High cholesterol ), which will help people to understand importance of prevention and treatment of these risk factors to prevent deadly complications like heart attacks and strokes. Third, this book focuses much on healthy lifestyle and food habits. This will encourage people to adopt healthy lifestyle and avoid unhealthy diet. One third of this book is dedicated for this purpose. This section of book about diet , exercise and lifestyle will be useful for all medical and non medical people. This book is useful for Doctors, Nurses, Pharmacists, Public health Students, Health Journalists, Patients and healthy individuals interested in acquiring knowledge about health and disease. You can buy this book at Heartclinic (01-4721472, 9843111554,9813022845) for Rs. 400. Social Media :Dr. Om Murti Anil has largest Facebook followers in Nepal among health professionals. He regularly posts health related articles and videos in his facebook page whose link is www.facebook.com/drommurti. Impact of his awareness campaign through social media is so powerful that most of his articles/videos are viewed more than 50000 times and it has become talk of town. People have started changing their lifestyle, tryring to reduce weight, engaging themselves in regular physical activities and being overall focused on their health after getting motivated from informations.